Arnos Vale, St. Vincent – The Windward Islands senior male tournament commences today, with matches bowling off at Park Hill playing field and Cumberland playing field. Dominica, Grenada, and St. Lucia arrived here yesterday keenly anticipating the host country to provide much of a challenge, as the Vincentians look to win the 2-day championship. The tournament is one round, with each country playing each other. The curtains come down on April 10. The host side is boosted with Windies batsman, Sunil Ambris, who will lead the team. He will have as his deputy, experience spin bowling allrounder, Keron Cottoy. The team includes 2 new players, namely: Dillon Douglas and Andrew Thomas. Other established players in the St. Vincent line up are Obed McCoy, Shaquille Browne, Atticus Browne, Kennett Dember, and Asif Hooper. 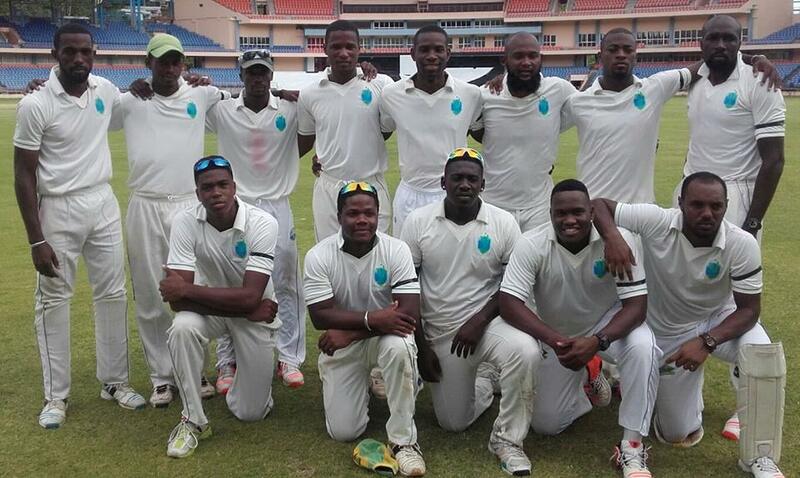 The remaining players are Romano Pierre, Desron Maloney, Darius Martin and Seon Sween, the wicketkeeper. Players missing out on this year tournament are Gidron Pope, Delorn Johnson, due to fitness. Windies fast bowler, Kesrick Williams is carrying an injury, while Ray Jordan is being rested after a long first-class season. Deighton Butler will be the head coach of the team, while Cleton Burnett will make his first appearance with the senior male team, as the assistant coach. The Dominicans are the defending champions.